Despite the small scale of the observed consciousness-related anomalies, they could be functionally devastating to many types of contemporary information processing systems, especially those relying on random reference signals. Such concern could apply to aircraft cockpits and ICBM silos; to surgical facilities and trauma response equipment; to environmental and disaster control technology; or to any other technical scenarios where the emotions, attitudes, or purposes of human operators may intensify and deepen their interactions with the controlling devices and processes. Indeed, the extraordinarily sophisticated equipment that generates much of the fundamental data on which modern science and information technology is based cannot be excluded from this potential vulnerability. As cutting-edge nanotechnology and quantum computing move into even more delicately poised information processors, protection against such consciousness-related interference could become increasingly relevant, even essential, to the design and operation of these and many other engineering systems of the future. On a more positive note, since these same research results provide important technical evidence of, and bear strong similarities to, the precious processes of human creativity, they offer the promising possibility of a new genre of human/machine systems that can enhance creative performance in all domains of human activity, from analytics to aesthetics, communication to commerce, medicine to management, sports to science, among countless other compass points of creative inspiration. The understanding and technology that have emerged from the foregoing basic research have prompted a number of practical initiatives. Indeed, interest has been growing among a visionary group of industrial entrepreneurs and venture capitalists regarding the development and marketing of a variety of pragmatic devices. For example, one emerging company, Psyleron, Inc., is producing a new line of state-of-the-art REG equipment for both research and personal applications. The historical evolution of scientific instrumentation that has extended our observational faculties into the domains of increasingly large, or increasingly small, natural phenomena has often forced reformulations of the prevailing representations of reality. Usually these theoretical revisions have been driven by the discovery of empirical anomalies -- unexpected observations that were inconsistent with the established models of that era. The advent of the "Information Age" over the past several decades has brought its own class of such anomalies, typically those associated with meaning, context, and other subjective discriminators. PEAR's contribution to this expansion of the scientific worldview has been its accumulation of huge bodies of consciousness-correlated empirical evidence that the subjective/objective dichotomy of Cartesian philosophy is no longer entirely viable. More comprehensive accommodation of these anomalies within a functional scientific framework will require the explicit inclusion of consciousness as an active agent in the establishment of physical reality, a generalization of the scientific paradigm demanding more courageous theoretical structures than are employed at present, guided by more extensive empirical data than are now available, acquired via more cooperative interdisciplinary collaborations than are currently practiced. 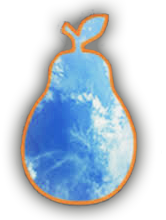 It is our hope that by its proposition of a few possible conceptual models PEAR has established productive precedents for such representation of this formidable, but crucial, topical domain. Beyond its revolutionary technological applications and scientific impact, the evidence of an active role of consciousness in the establishment of physical reality holds profound implications for our view of ourselves, our relationships to others, and to the cosmos in which we exist. These, in turn, must inevitably impact our values, our priorities, our sense of responsibility, and our style of life. Our ability to acquire, or to generate tangible, measurable information independent of distance or time challenges the foundation of any reductionist brain-based model of consciousness that may be invoked. The lack of notable correlations in the data with standard learning curves or other recognizable cognitive patterns, combined with the repeatable and distinct gender-related differences, suggest that these abilities may stem from a more fundamental source than heretofore suspected. Certainly, there is little doubt that integration of these changes in our understanding of ourselves can lead to a substantially superior human ethic, wherein the long-estranged siblings of science and spirit, of analysis and aesthetics, of intellect and intuition, and of many other subjective and objective aspects of human experience can be productively reunited.